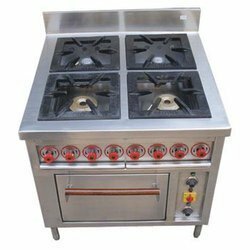 Manufacturer of a wide range of products which include ss tandoor, oven electrical hot plate, salamander oven, idli steamer, four burner range with oven and ss exhaust hood. We have marked a distinct position in the market by providing a broad range of S.S. Tandoor Gas and Charcol. Cooks the food in a minimum time without reducing the taste, this tandoor is simple to use which reduces the stress and time. This tandoor is manufactured with utmost precision utilizing world class raw material under the supervision of our dexterous professionals. 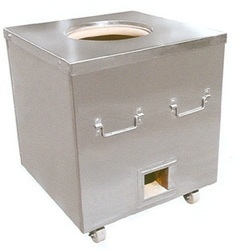 Available in various specifications as per the requirements of clients, we offer this tandoor at very reasonable rates. 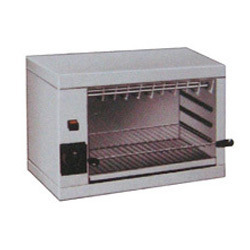 We are offering wide range of Electrical Hot Plate with Oven. • Heating up controlled by a symos that. • Easy to remove crumb pan. • Grindiron can be placed on 4 levels accordingly to the coocking requirements. We are counted amongst as the leading manufacturers and suppliers of an excellent quality assortment of Idli Steamer. This steamer is precisely manufactured under the guidance of our talented professionals using high quality raw material and latest technology. Available in different specifications as per the specific requirements of clients, we offer this steamer at the most affordable price. Leveraging upon our experienced team of professionals, we are able to manufacture and supply superior quality Salamander Oven. Our highly skilled experts manufacture this Salamander in compliance with the international quality standards using high quality raw material and advanced technology. We offer this Salamander in various specifications at market leading price to the clients. 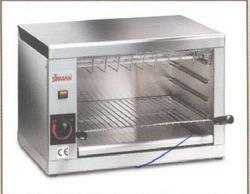 We are involved in offering Four Burner Range with Oven. 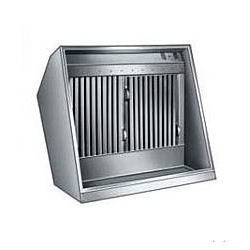 We are involved in offering SS Exhaust Hood.